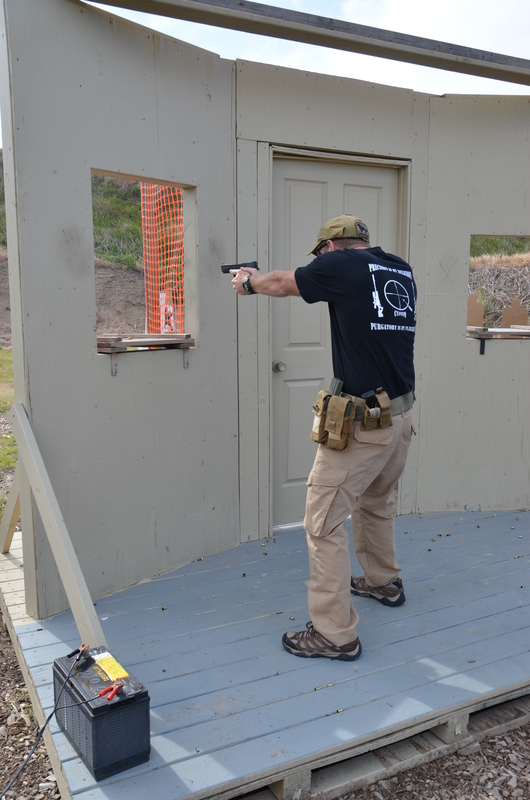 Competitive Shooting: Substitute For Sustainment Training? May 30, 2013 By Jayden Quinlan & filed under All Articles, Other Tactics & Training, Tactics/Training. Standing back from the window while engaging targets maximizes available cover while reducing shooter’s signature. 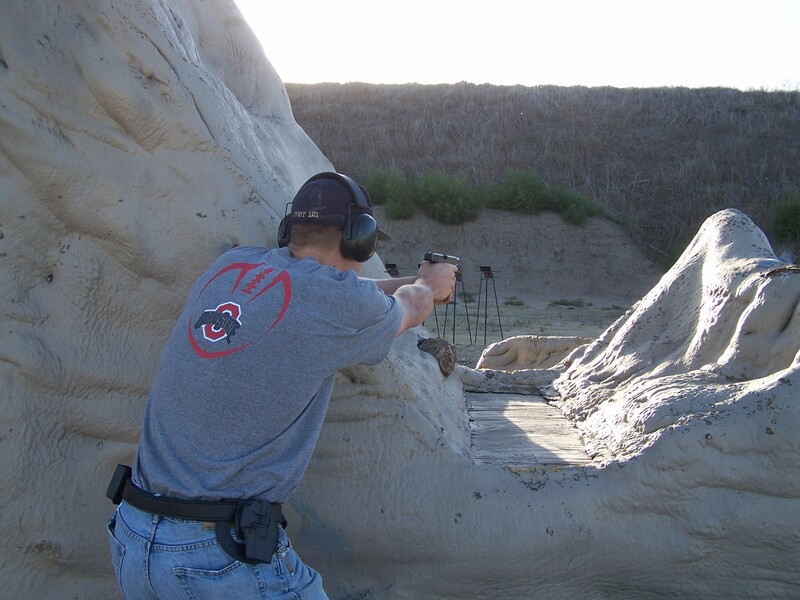 Shooting ranges and gun clubs throughout the United States offer many different styles of action shooting competitions. Each different competition has its own methodology and scoring system but is ultimately meant as a sport. Having recently come out of the military and with a little more time on my hands, I decided these might be a fun and productive way to keep up various skill sets. But during my first match, I was surprised to see everybody walking through the stage before shooting it with their finger pistols and whispering to themselves how they were going to shoot these targets and reload while moving to save time, and shoot more over here. Having come from the tactical world, this struck me as cheating, and my first thought was, “If this is it, it isn’t for me.” I believe that doing something repeatedly can create a habit, and some of the repeated actions I was seeing were, to my tactical mind, bad habits, some of them possibly even dangerous in a real-life application. Not using blatantly accessible cover for reloads, shooting as fast as possible as long as two of the rounds end up on target, and punching muzzles through mock windows and doorways are considered tactical no-nos if avoidable. Now before I kick the hornets’ nest completely over and have competitive shooters ready for high-noon quick draws, let’s look at the tactically good portions of these events. In most of these competitions, you’re up against the clock and have a lot of people watching, which usually makes shooters nervous or uncomfortable. When the pin drops, you probably will be nervous and uncomfortable, so this is good. Shooting around, under, over or through various barriers can easily be connected to real-world engagements, and demands that you be aware of your muzzle position. Tactically unsound reload performed at waist level takes more time to get back on target. Plus you lose sight of what is happening downrange. Center-mass shots being of higher value than the outlying portions of the target promotes a balance between good shot placement and speed. The 180-degree safety plane encourages safe handling and situational awareness. Being able to shoot and move safely, especially between points of cover, are definitive skills that round out some of the real-world connections of these competitive styles. We haven’t made peace yet. The audacious size of some of the magazines I’ve seen used at these competitions makes Robocop look like child’s play. Twenty-plus rounders in pistols and massive magazines in ARs are no doubt impressive feats of engineering and will ensure you don’t run out of ammo with only 12 targets to shoot. 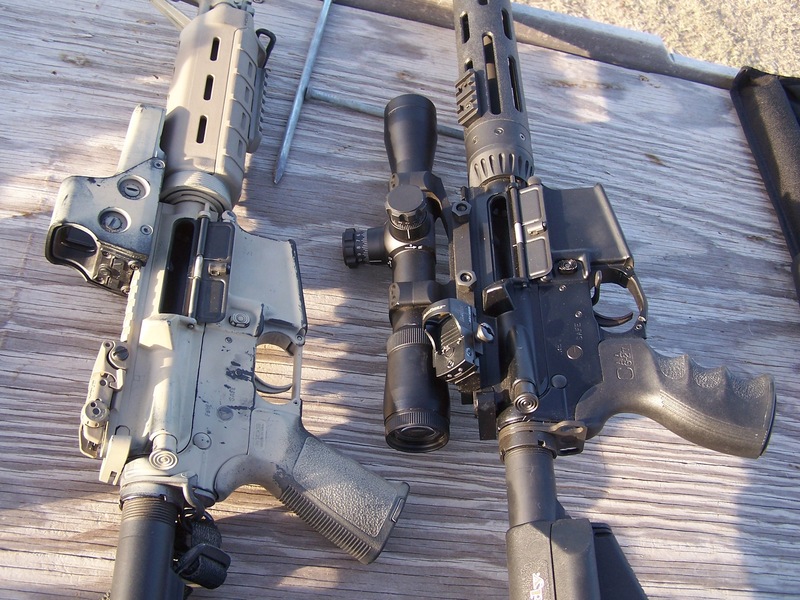 Giant optics traditionally used on long-range rifles with speed levers hanging here and red dots hanging off there can be found atop many carbines. In the tactical world, unless these are the tools of your SOP, I see danger in “training” with these but using standard equipment for defensive or duty weapons. …to a duty or carry setup. I found after talking to a few of the more serious competitors that they carried a completely different make, model and magazine capacity for protection. 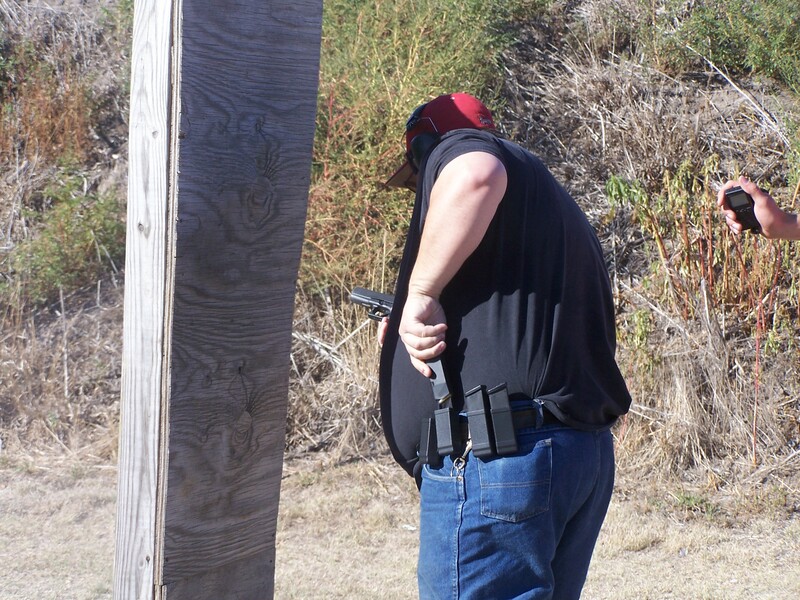 Being proficient with many weapons is a great skill, and because you have a designated competition gun doesn’t mean you can’t run your fighting gun just as well, but it is a serious questioning point. If you are well trained in the tactical arena and shoot competitively for fun, you’ll probably keep the bad habits at bay. The problem I see is with people who have had no official training and the closest they have come to stress-induced tactical training is at shooting matches. If your habits under stress are molded in shooting as fast as possible for points, would you shoot that fast in reality and be completely confident where those rounds were going? No matter if you are a civilian, law enforcement or military, you are responsible for each round you send downrange. Keeping your head and being a thinker instead of a robot are invaluable skills. Asking a fresh shooter coming off the line if they had their muzzle through the window or were standing back usually was answered with a shrug and an “I don’t know.” Never forget that we are creatures of habit, especially under stress. 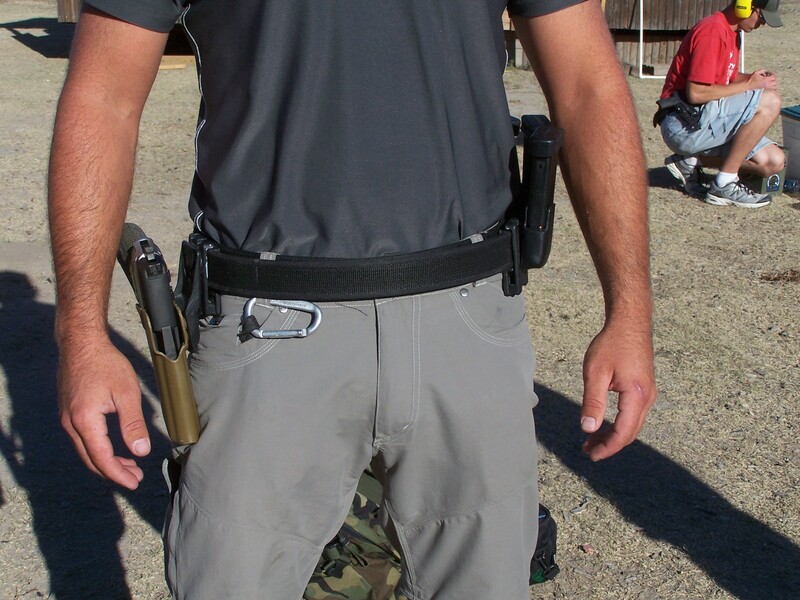 After going to slide lock, shooter utilizes cover by dropping down to a knee to reload. This takes more time off the clock but is much more realistic. Anybody can be a critic, but without coming up with solutions to the problems, it’s just noise. My solutions may make your competition experience a little closer to reality, but will probably make your placement on the leader board suffer. Keep in mind I’m not saying competitive shooting is bad or should be avoided. On occasion, I still pursue that number one name slot on the score sheet, but it isn’t my motive in every match. My goal is to make the wide array of not necessarily tactical competitions available a little more realistic for those of us with a more tactical mindset or background. The first step is to use in the competition what you use for protection or duty. Instead of a speed holster, fiber-optic sights, 10X optics, and large magazines, I use my drop-leg holster, tritium night sights with tac light, holographic carbine sight with backup irons, and standard magazines. Keep the placement of your gear consistent. 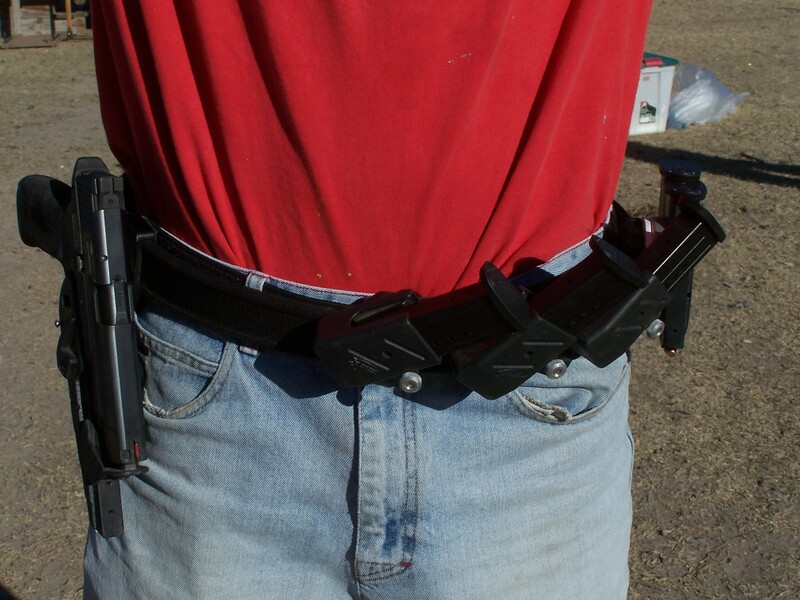 If you’re not going to be loading from mags located near your belt buckle in the fight, don’t place them there for the event. 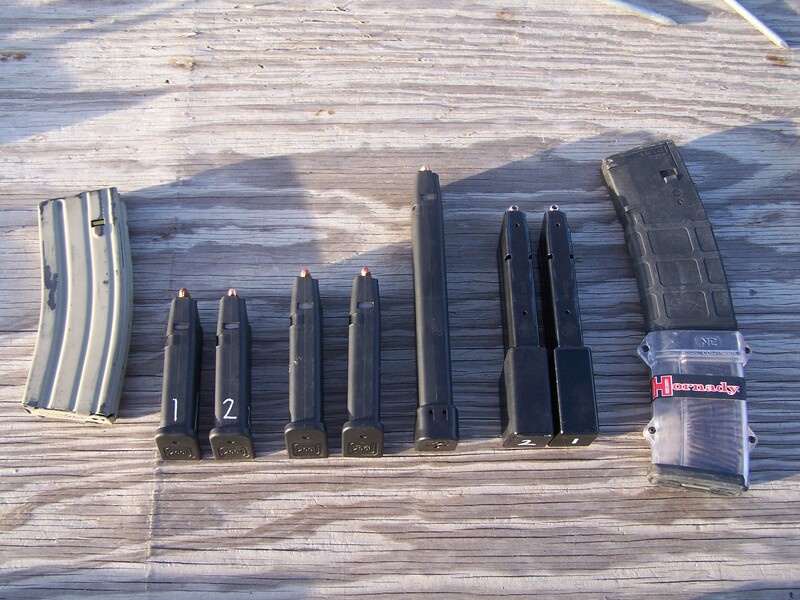 Duty-use magazines on the left, competition magazines on the right. The second step is I do not top off my mags between stages. Run what is left just like you would in reality. This is a great way to train for being more conscious of your round count. Looking like a fool for running completely dry on a stage and not being able to finish is a huge motivator to pay attention to detail. Shoot what you have and reload as necessary until you don’t have enough ammunition to complete the next stage, then top off your mags. To ensure that I have no shortage of reload practice, I will sometimes load 10 to 15 rounds in each of my carbine magazines and six to nine rounds in my pistol. To make the problem worse, I randomly place dummy rounds in carbine and pistol mags to be cleared as they arise. More simplistic duty platform on left utilizes holographic sight, standard trigger, and backup iron sights. More complicated competition platform on right utilizes variable-power rifle scope, canted red dot sight, bolt release lever, and match trigger system. The third step is to use cover whenever possible. When shooting through windows and doors, negotiate with the pie method and avoid protruding your muzzle into unknown territory. When reloads and malfunctions occur, grab the cover of the wall that you are standing two feet from instead of standing in wide-open lead airspace like a piece of cardboard with an “A” zone on your chest. The fourth step is don’t walk through and plan the stage beforehand. This may be unavoidable at some events, but as we all know, we rarely get to plan how we are going to shoot the bad guys, and they usually don’t remain stationary like most targets do. Keep the surprise alive and analyze how you fare when the stage is finished. To the average competitive shooter, I probably look like a time-wasting bowl of hot mess when shooting a stage. After four rounds, I’m already at slide lock and, after reloading behind cover, I get a dead round after two shots. This is a bad day if your goal is first place, but a great opportunity to brush shoulders with the uncertainty of action under stress. Shooter leans out enough to engage target, minimizing his exposure. Competitive shooting safely gets many people more involved with shooting, which is a really great thing. Hopefully utilizing this tactical mindset toward the events will draw even more people to participate. For me, having fun is enhanced by pushing my limits to the point of screwing up a reload or malfunction clearance, but being able to laugh and learn from it on the safe square range, which doesn’t shoot back. 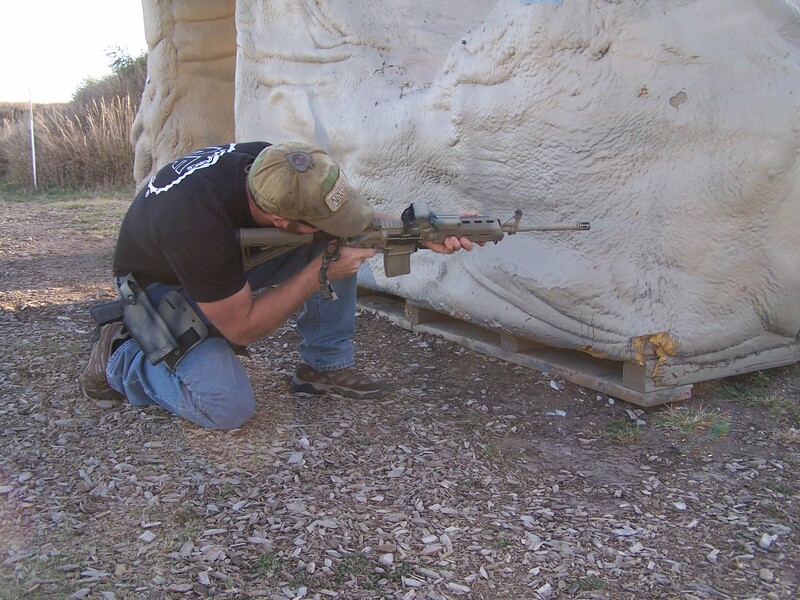 If you don’t have the opportunity to compete in tactically focused matches or attend tactical training courses, but do frequent mainstream action shooting competitions, employing these methods may increase your survivability when you are tested in real life.